The development of petroleum industry involves the use of special equipment and pipes with high requirements for quality and performance. After all, the oil pipes used for laying pipelines, drilling wells and pumping an important industrial fuel work in difficult conditions under constant exposure not only aggressive media, but also the harsh weather and climatic conditions. 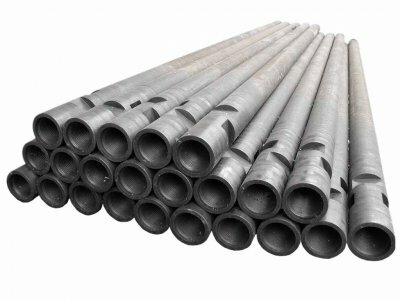 Production of oil pipe involves the use of high-quality steel, resistant to corrosion damage. Depending on the purpose of a particular type of pipes, semi-finished products can be subjected to additional heat treatment, hardening additives or special application for finished products protective coatings can extend the service life of pipes and their resistance to destruction. The size range of similar products is presented in a rather wide range (from one hundred fourteen to five hundred thirty millimeters in diameter) and regulated by normative documents. Moreover, state standards for such products stipulate not only the pipe diameters, but the thickness of their walls. Pipe oil use enough critical parts, so their production requires special attention as to the quality of sheet metal intended for such products, and the strict observance of technological process. Preferably used for oil industry products produced by hot deformation method, without welds. The production technology assumes control not only the overall condition of the semi-finished product, but also its structure at macro — and microscopic level. Then measuring the workpiece on the measuring cut length. Next, after a preliminary designation of the center of the prefabricated part is heated in a special oven (3-Sonny unit with walking hearth furnace). The product was then stitched into a hollow structural shell and is rolled into a rough version of the finished pipe. The finished pipe is calibrated and reduced, then controlled by its main characteristics — the diameter and wall thickness. Such tubes are used not only in laying gas or oil pipelines, but also suitable for the installation of household water supply. The main advantage of this product is its high corrosion resistance and durability due to an exclusive production technology and use quality material durable steels alloyed chemical elements. During operation these products require constant monitoring of the surface condition. It involved a variety of laboratory tests from ultrasonic testing to the metallographic analysis of defective parts. The key performance characteristics of oil pipes are constantly improved by regular review of regulatory documents and optimization of the production technology. Due to this fact increases the durability and longevity of pipe products. Supply a wide range of oil pipes of any parameters at the best price. In the technical documentation included data on performance of products. We can easily buy wholesale any products for large-scale production. We provide services to retail customers. A high level of service, the product compliance with GOST and international quality standards, efficient service are the face of our company. Oil pipe sold by the company «Electrocentury-steel» complies with GOST and international quality standards. Deliveries are made in the shortest possible time from warehouses located on the territory of Russia and Ukraine. Setting up the oil pipes used material of the highest quality. This allows the pipes to be durable and at the same time plastic. High quality, affordable prices and a wide range of products define the face of our company. Becoming our regular customer, You will be able to rely on the system of discount discount. Cooperation with us will help You to implement any engineering plans. Waiting for Your orders on the website evek.org.